Terrorists are quick in exploiting emerging technologies and drones now add a new dimension to their strategy. Intelligence, surveillance and reconnaissance (ISR) of targets and security forces. Trans-border transportation of weapons, explosives, narcotics and currency. Assassination of political leaders, targeting military/police personnel and individuals. Attacking crowds at political rallies, religious gatherings, markets and sports stadiums to cause casualties and stampedes. Chemical, biological and radiological attacks. Causing fire at fuel depots. Causing train and bus accidents. The defence against drone attacks covers the entire gamut of ‘defence in depth’ response, which includes prevention, deterrence, denial, detection, interception and destruction. Prevention is, of course, based on good intelligence, but the lacunae in terms of lack of a National Counter Terrorism Centre and a National Intelligence Grid are well-known. On deterrence, the ministry of civil aviation has done well to lay down the regulations for Remotely Piloted Aircraft Systems (RPAS) through a Digital Sky Platform, effective 1 December 2018. This is a first-of-its-kind national unmanned traffic management (UTM) platform that implements a ‘no permission, no take off’ policy. While preventive measures have been put in place to keep a tab on drones produced in India and those officially imported, the provisions in the law – IPC Section 336 deals with an act endangering life or safety of other persons – are inadequate to deal with the violations. The aspect of ‘denial’ has been covered in the regulations under ‘no permission, no take off’ and ‘return to home’ systems, and no-fly zones have been and can be specified on as-required basis. In due course, ‘geo fixing’ – a coded pre-established boundary – can be introduced as well. Needless to mention that terrorists will devise ways to bypass the regulations and smuggle drones that do not have electronic checks in place. Also, legitimate drones can be hijacked by terrorists. 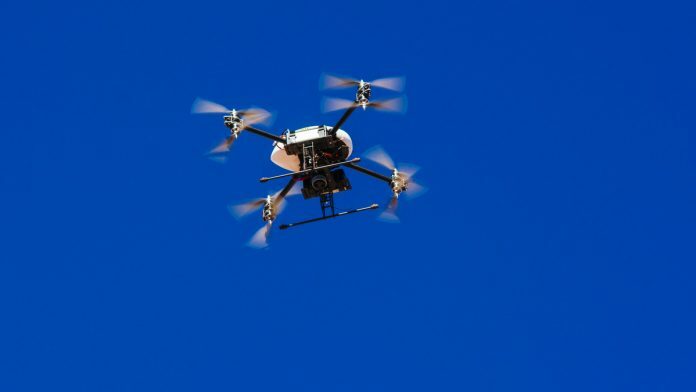 The aspects of detection, interception and destruction of micro, mini and small-sized drones are a grey area and foolproof solutions are still being developed. The military measures are only effective against medium and large-sized drones as the radar signature of small drones is not visible. Further, the military cannot cover the hinterland. Drone-specific radars are in the works as also acoustic, image and infrared detection systems. The military way of neutralisation/destruction is ineffective against small drones. Radio frequency and GPS jammers are an effective electronic neutralisation tool. Low-calibre, anti-drone missiles and guns are being developed. Manning of detection, interception and destruction equipment to cover the vulnerable points/areas in the hinterland will have to be done by the police or paramilitary. Time is running out, and the government needs to get battle-ready to counter the threat of drone terrorism. The 26/11 attacks happened because we failed in preparing for sea-borne threats. We must not allow a repeat of such an event in India.